Freelance Switch has written up an amazing list of resources for freelance professionals. It’s mostly geared toward people who work online, doing things like designing web pages. But as a freelance journalist and radio producer, there are a lot of tools on the list that I can use as well. 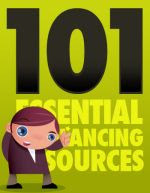 The list began as 101 freelancing resources, but the authors have added a few based on feedback from readers. K7.net provides you with a free voicemail/fax line. This isn’t a fully functional phone number. But it’s great if you need to receive incoming faxes and don’t have a dedicated fax line. K7 automatically converts any fax sent to your phone number into a TIF file and emails it to you. Mostly I get junk mail offers for cheap health insurance or real estate in Florida. But it’s good to have a fax line. I use faxZERO to send faxes. This isn’t a perfect solution, but it’s free to send up to 2 faxes (3 pages or less per day). You upload a DOC or PDF file, and it’s sent as a fax. Your free fax will include a cover page with an advertisement for faxZERO on it, so I would only use this if you’re sending messages to someone you’re not trying to impress. You also have the option of paying $1.99 to send up to 15 pages with no cover advertisement. The main thing I like about faxZERO is that you don’t need to register with the site or pay a monthly fee. In the rare instances when I can’t just email a document scanned into a PDF, this is what I use. Microsoft Accounting 2007 Express is a great little program for creating professional looking invoices. It does a lot more than that in terms of bookkeeping, but since I use a custom spreadsheet for tracking most of my business income and expenses, I just use Accounting Express for creating invoices. Oh yeah, and it’s a free download.